After a few years working for large enterprises the entrepreneurial bug bit. Aged 26, he started Trinity Security Services, a Cyber Security services company. Trinity delivered Cyber Security solutions to customers such as Cadbury Schweppes, Bank of England, RSPB and Tesco. A successful exit of Trinity via trade sale took place in 2008. 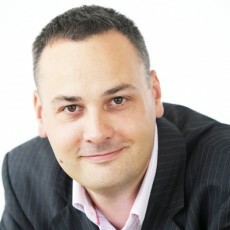 In 2008 Simon launched Adventures in Business, a vehicle for creating and advising start-ups. Simon is now involved in multiple businesses including Urban an independent retail Cafe chain. Simon has a passion for supporting other entrepreneurs and for the last 10 years Simon has been working with entrepreneurs from across the world firstly through running Birmingham’s only technology incubator and then moving to become the CEO of a leading technology accelerator. The technology accelerator was voted a European top 10 accelerator by the Guardian newspaper. Simon has helped over 50 startups go from idea to investment, raising in excess of £10 million equity investment. Simon’s passion for entrepreneurs and particularly technology entrepreneurs goes beyond the day job and has seen him found Birmingham Entrepreneurs (the largest entrepreneurs group outside of London) and Co-Found Silicon Canal, Birmingham’s answer to London’s tech city. In 2016 Simon was listed in the Maserati 100 for his work with entrepreneurs and listed as a Power 250: The West Midlands’ most influential people in creative and digital in 2017.